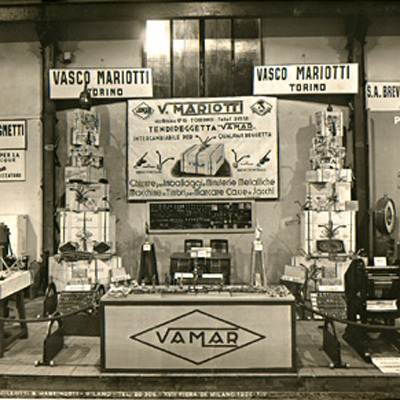 V. Mariotti S.r.l. 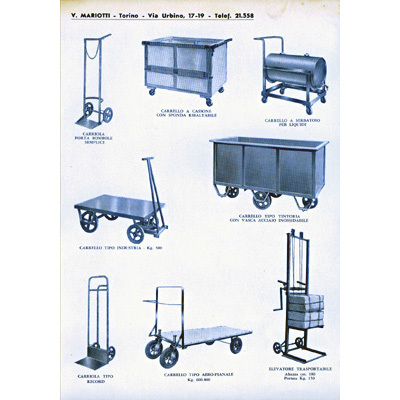 has been designing and manufacturing material handling equipment since 1920. 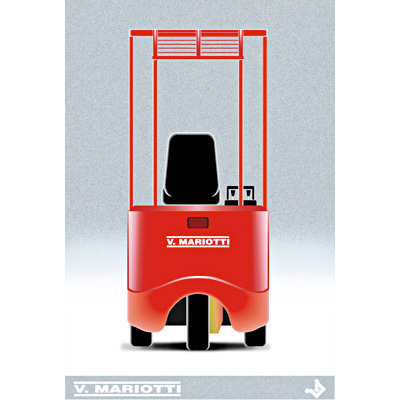 Today it specialises in the production of the world’s smallest electric forklift trucks. It is a market leader in its sector and represents one of the best established names on the international market, operating in over 40 countries around the world and has a list of highly prestigious customers. A highly qualified team of experts drives the ongoing pursuit of perfection in terms of innovation and performance as a response to the growing needs of the market. 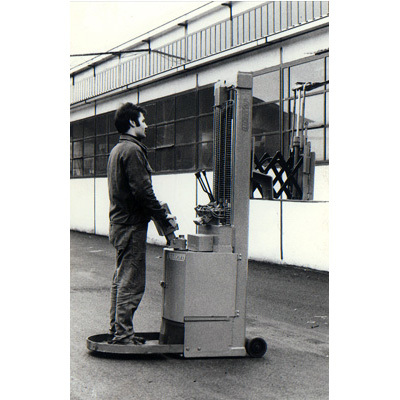 Research and innovation have long been the company’s distinguishing features, turning it into a flexible firm, capable of responding to their customers’ needs, in particular where there are special handling demands and requirements to be met. 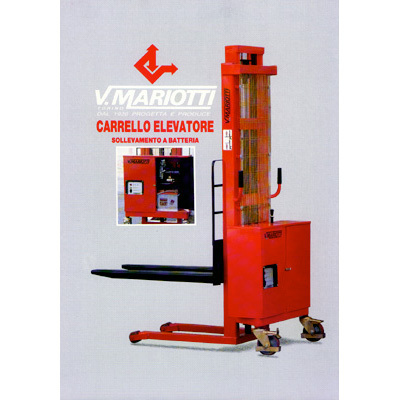 In these cases Mariotti is in a position to create tailor made solutions for particular kinds of working environments, where needs are not met by standard machines. 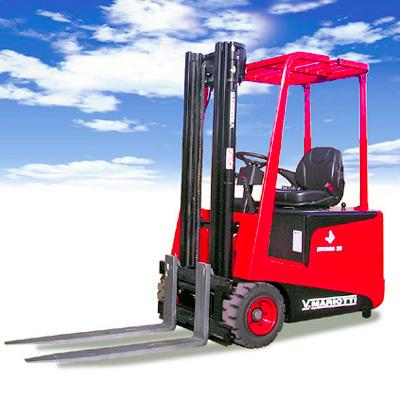 Our range can provide the right alternative to traditional forklifts or classic warehouse equipment. Production is always aimed at achieving the highest quality and it combines cutting-edge technology with the care and attention to detail that only direct human involvement can guarantee. 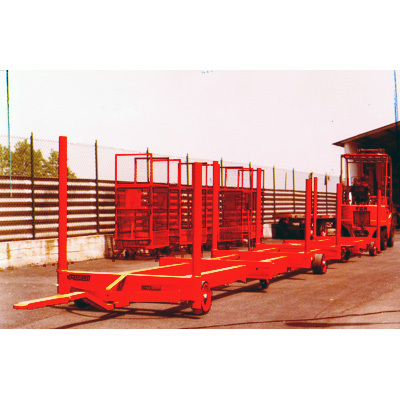 The framework of our trucks is designed and manufactured entirely in-house, in particular the chassis, the masts, the steering system and the drive units. 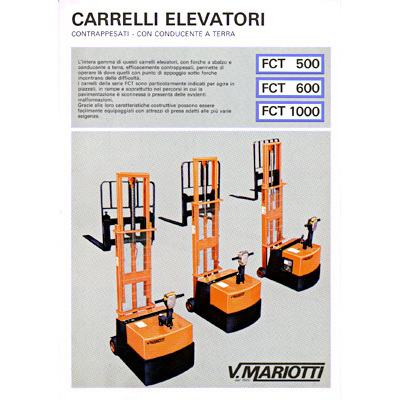 All the other component parts are selected with extreme care and every truck is assembled and tested to ensure that it provides the highest levels of reliability and quality demanded by our customers..
Mariotti is certified to design and manufacturing of forklift trucks and to sales of spare parts. (UNI EN ISO 9001). 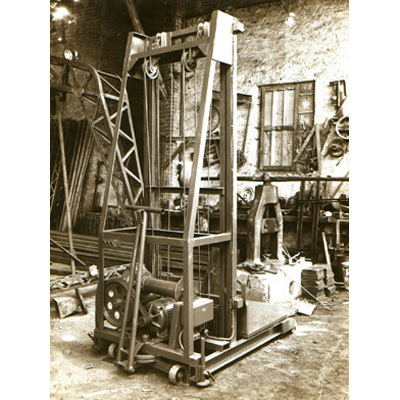 The service we offer you includes our expertise that dates back almost one hundred years and our undying spirit of innovation and caring for the customer. 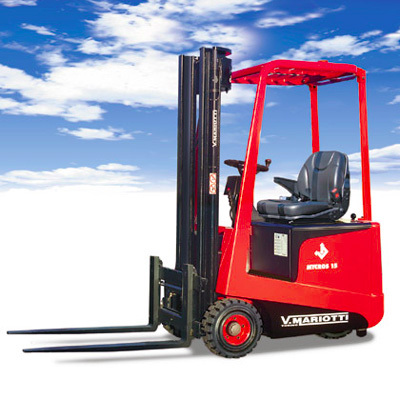 This means that we are now in a position to guarantee you the widest and most reliable range of forklift trucks for the handling of small loads. 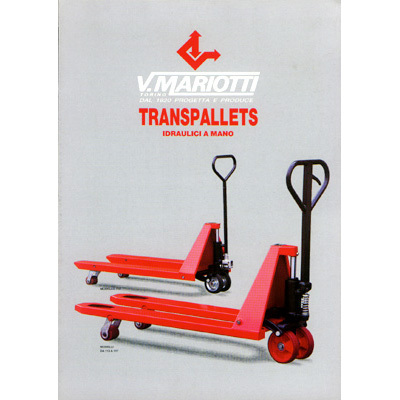 The company was founded in 1920 by Vasco Mariotti, who began manufacturing industrial trucks, barrows, elevators, trailers and packaging materials for the Italian market. In 1973 the business was bought by its current owners and began specialising in design, in order to address the handling needs of certain customers. 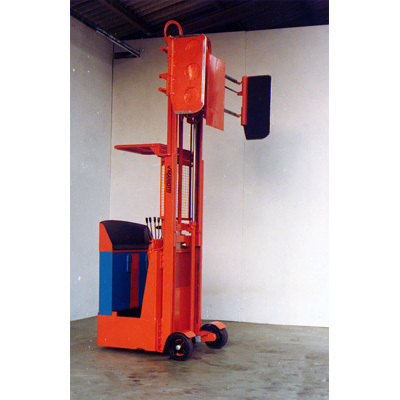 Since 1973 production expanded to include pallet jacks, stackers, low capacity counterbalanced equipment, forklift trucks and electric platform trucks. 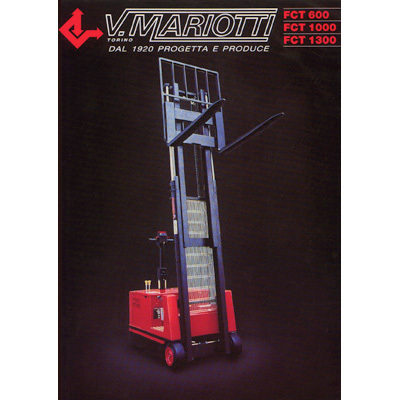 By the mid- 80s, Mariotti projected a range of increasingly specific compact forklift. 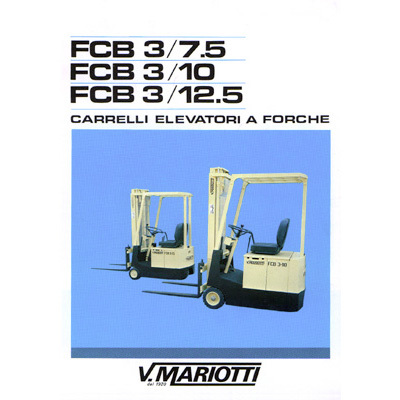 In 1992 it completed the first range, called FCB, which includes models from 600 to 2000 kg. 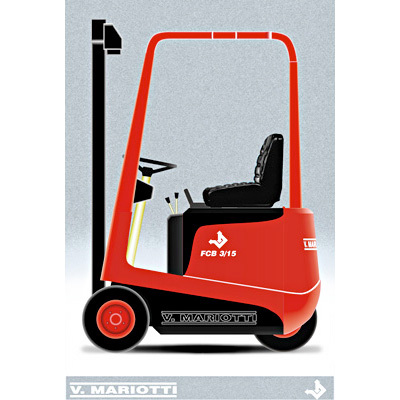 The first truck in the MYCROS range came off the production line and remains, to this day, Mariotti's flagship range, eventually replacing the FCB range. 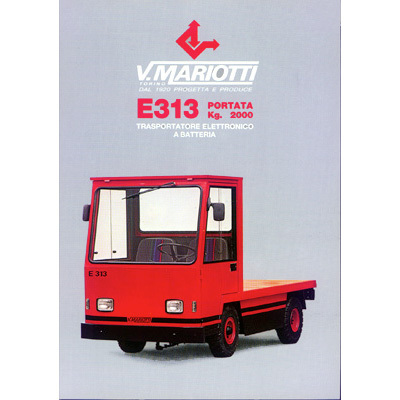 Mariotti's innovative truck was greeted very favourably by the market and it quickly began asserting itself, even abroad. In 1998, 45% of the company's sales were outside of Italy. 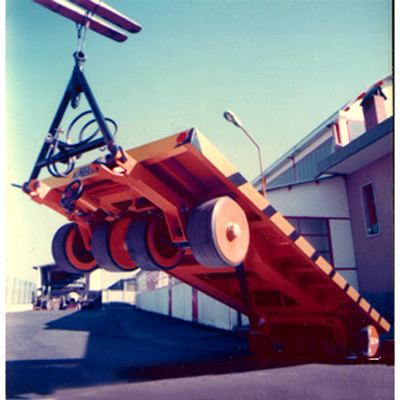 In the year 2000, MYCROS 4, the smallest driver seated counterbalanced truck in the world was unveiled. 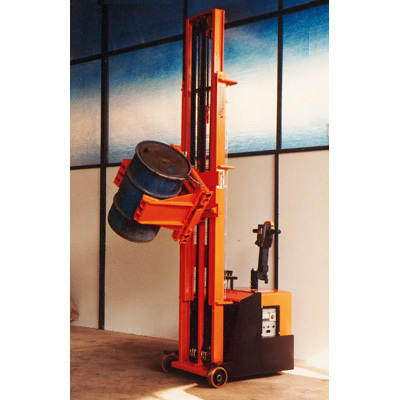 From the counterweight to forks backrest it measured just 990 mm. 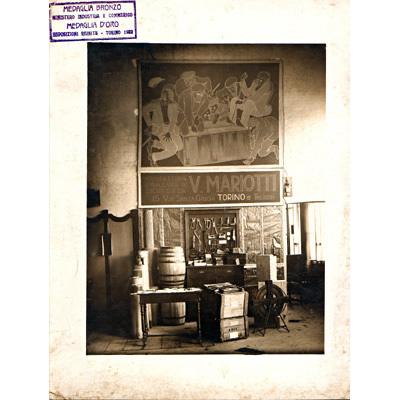 This was the product with which Mariotti began to win over the American market which, within a year, already accounted for 15% of its exports. In 2002 it consolidated its position by entering into a joint venture agreement with its American partners. 2004 saw the launch of the essential and good value for money ME Range, which now stands alongside the MYCROS range. 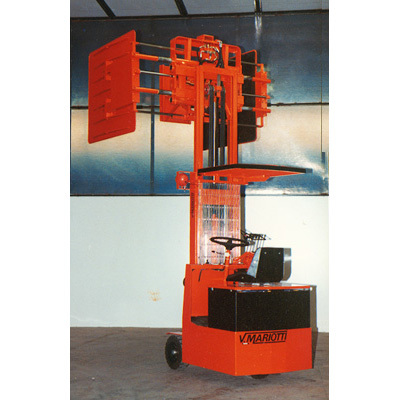 In 2006, in particular as a result of new business agreements, Mariotti was now being sold in the USA, Canada and Mexico. These were years of great renewal and ferment in the world of design. Following a three year technical study, the MYCROS AC Range was launched, with a switch to AC motors. For the first time anywhere in the world customers had the possibility of choosing a truck with front-wheel, rear-wheel or all-wheel drive (with no differences in size). 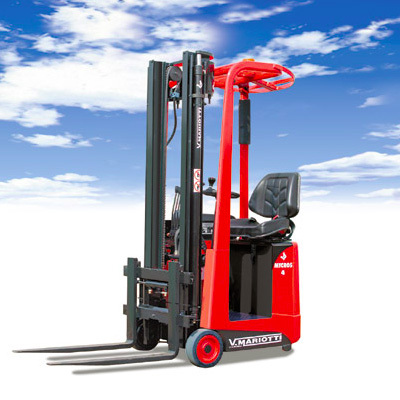 In 2009 it was the turn of the ME Range, which switched to AC and was equipped with electronic lifting controls and a new type of rack and pinion steering system. 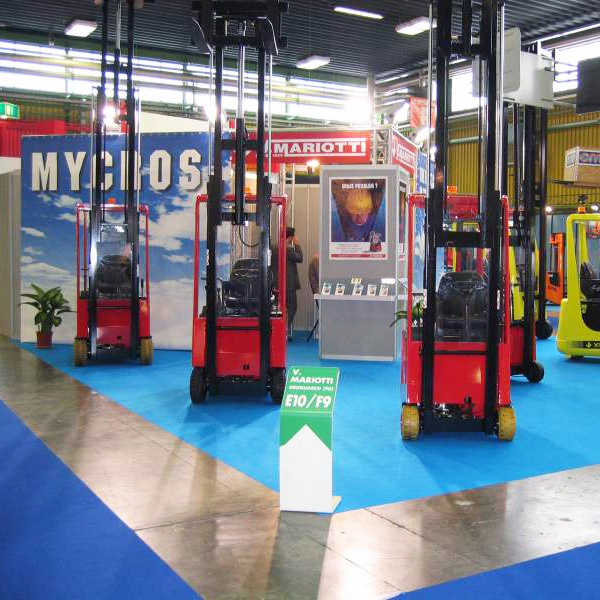 The MYCROS AC 4-6C (today's Mini 4-6) was launched in 2011 and has gone on to become the world's smallest forklift truck. 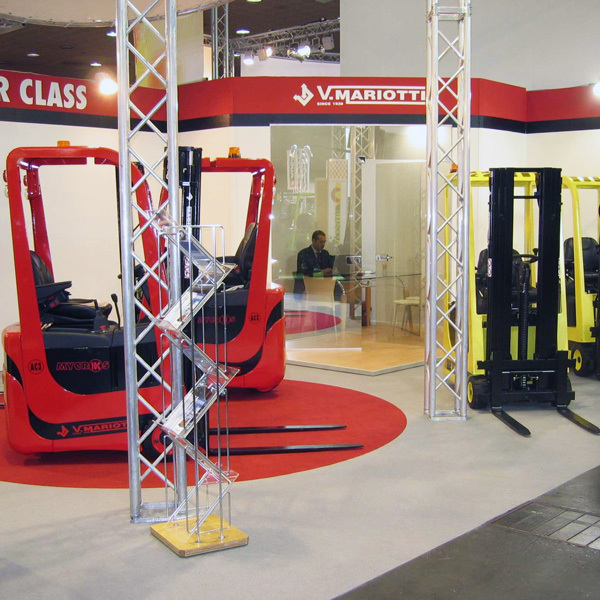 More recently, with the development of the MX 16 unit designed to cope with loads of up 1600 kg, Mariotti has completed the renewal of its range which is now the most comprehensive in terms of low capacity forklifts. 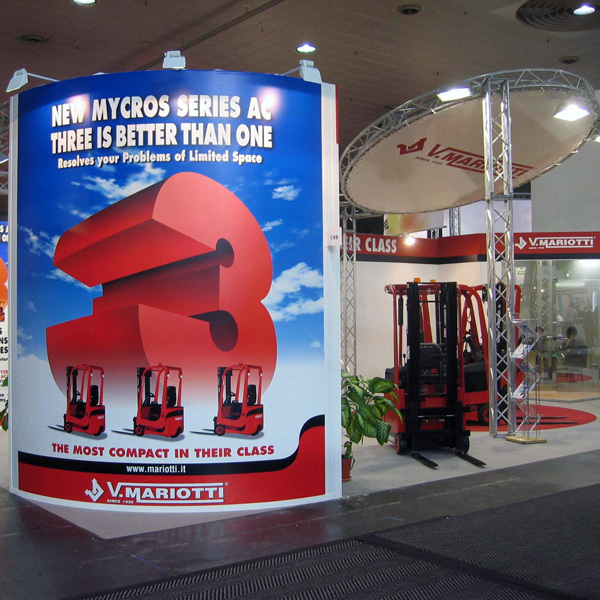 South America and Asia have confirmed themselves as the markets with the highest percentage of expansion and the Mariotti network has seen its distribution network expanding there year after year. 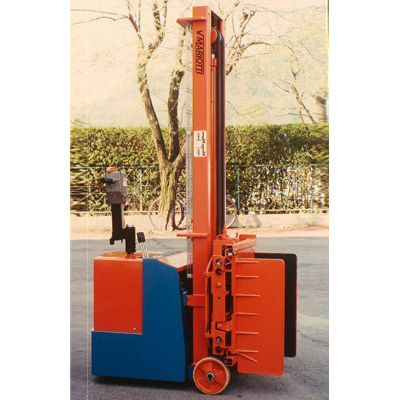 Our mission is to solve, to the best of our ability, the problems associated with the handling and stacking of goods in confined spaces and in those working environments that are unsuitable for conventional machines. 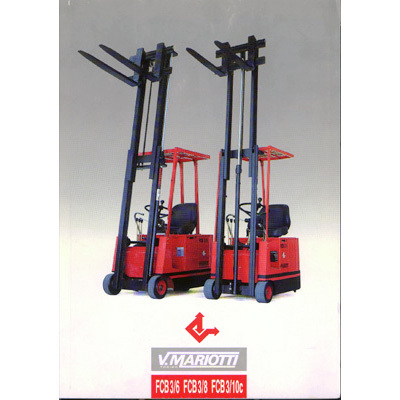 Our aim is to fit technology, accuracy, compactness and quality into one single truck. 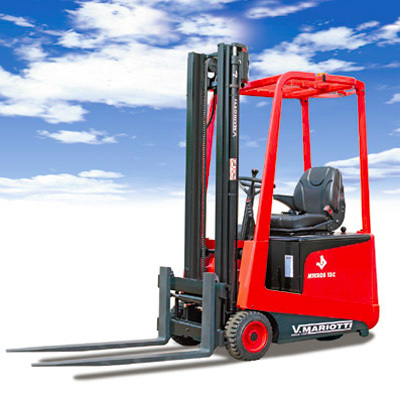 We don’t just produce electric forklift trucks, but we are also working hard on finding solutions and create products that will respond to our customers’ needs. 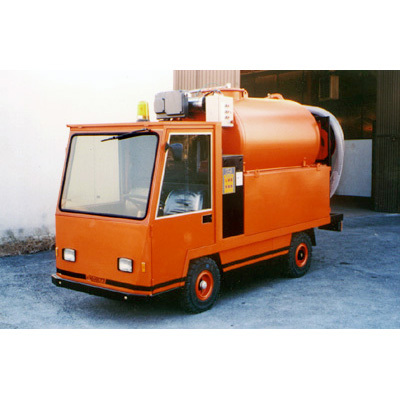 On the one hand our aim is to improve performance, safety and comfort, whilst on the other we want to reduce inconveniences at work, machine down times, not to mention operating times and costs to a minimum. It is by adopting this philosophy that we aim to expand our range of electric trucks still further and also to provide our customers with an increasingly efficient and customised service. 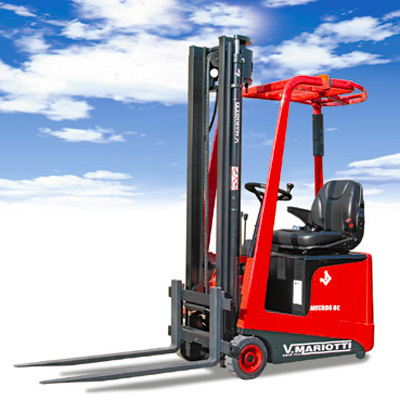 Our watchwords for the future are: quality, services, compactness, reliability, accuracy, design, safety and versatility.